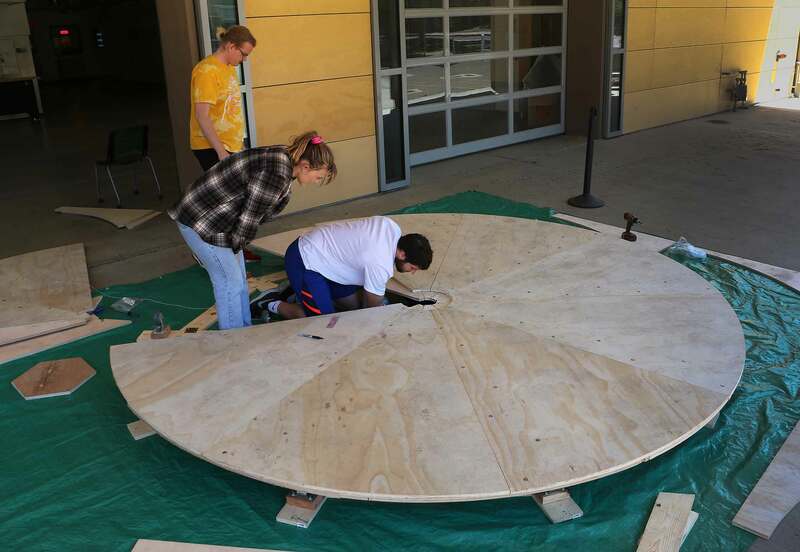 SAN LUIS OBISPO — A motorized surfboard for disabled surfers and a solar power generator that can be air-dropped into disaster areas are just two of the beneficial student creations that will be featured at this year’s College of Engineering Project Expo on campus June 1. The expo, which will be held at the Engineering Plaza between noon and 3 p.m., will feature more than 200 individual and team senior projects, along with several club projects. 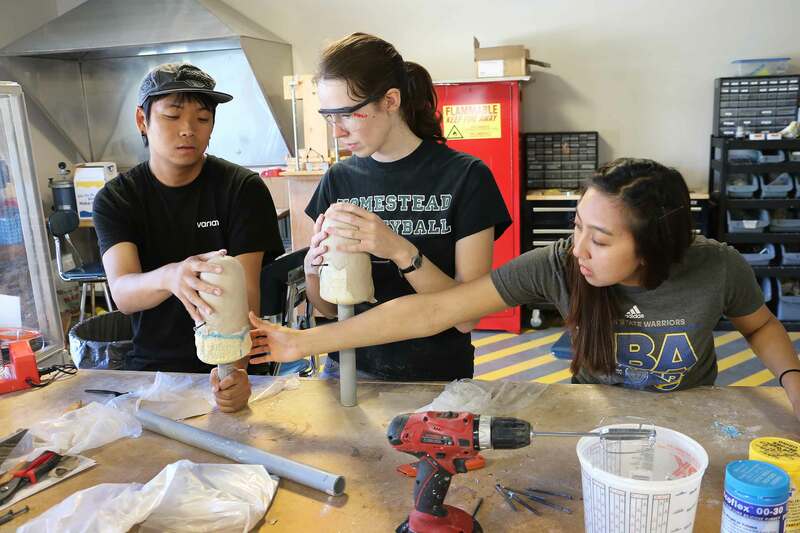 A highly visual representation of Cal Poly’s Learn by Doing philosophy, the expo features a variety of projects that can have an immediate impact. Holt is on a team that is creating a motor-powered surfboard, which will be put to use a week after this year’s expo. AmpSurf, a nonprofit established to provide surf clinics for people with disabilities, will use the board during a June 9 clinic in Pismo Beach. Traveling at an estimated 5 mph, her team’s motor-powered, 12-foot surfboard will make it easier for participants to reach and catch waves at Pismo Pier. “It’ll be awesome to see it being used,” Holt said. 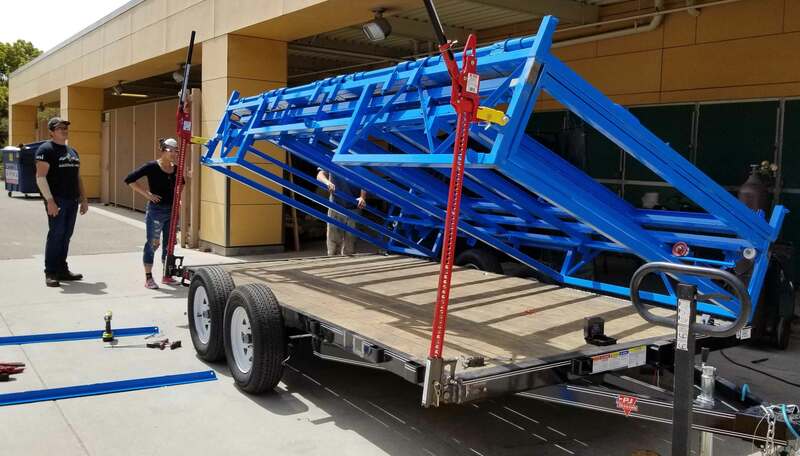 Another helpful project on display will be a 5.5-kilowatt solar trailer that can be brought into disaster zones or developing countries to quickly provide electricity and water filtration. The 36-foot trailer, featuring 14 solar panels, is designed to be rugged yet easy to install. “The idea is that it’s supposed to be set up in under 30 minutes,” said Raymond Zeng, an electrical engineering major from Los Angeles. One trailer could produce enough energy to power a mill, said the students, who know how crucial power can be — “especially after what happened in Puerto Rico,” said Vivian Mac, a senior majoring in materials engineering, referring to Hurricane Maria that devastated the island’s power grid last fall. After the expo, Zeng said, the project sponsor will refine the trailer and then seek investors to mass produce and ship worldwide. Other projects this year include a “soft socket” leg prosthesis that will make a double amputee veteran more comfortable, a device that will pump cool water into the shirt of race car drivers in hot vehicles, and a surgical tool for spinal surgery. First launched in 2006, the expo allows members of the public to talk to students about their projects, along with faculty and sponsors. Lily Laiho, a biomedical engineering professor, said sponsors often use the expo to recruit students — and for ideas. “They get a new viewpoint from these young engineers to get a solution they haven’t thought of,” she said. Students, meanwhile, get relevant experience toward their chosen industry while working on teams to achieve a rewarding task. “It’s fun to see that passion,” Laiho said.